Here it is! 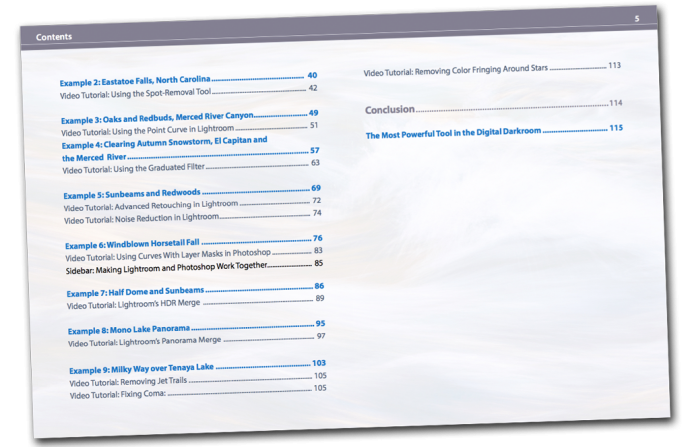 The third edition of my ebook, Landscapes in Lightroom: The Essential Step-by-Step Guide, is now available. 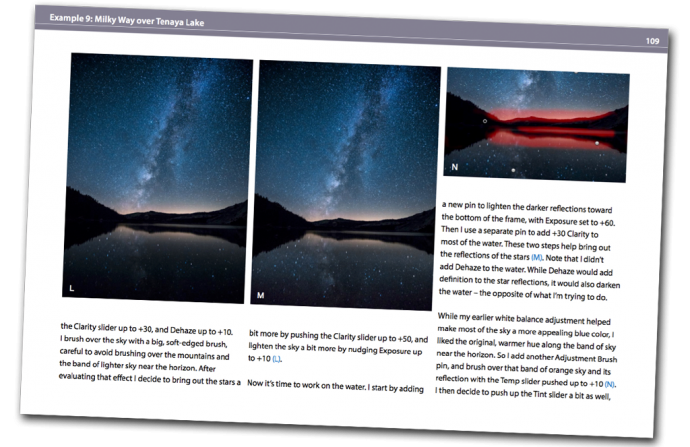 This new edition is revised and updated for Lightroom Classic CC, and includes a brand new example where I take you step-by-step through processing a Milky Way photograph, plus six new videos about the Range Mask, the Profile Browser, fixing coma, removing color fringing around stars, and more. Of course this new version still has all the features that made the first two editions so popular. First, you can download the original Raw files used as examples in the ebook, and then follow along with each step yourself – just as if you were attending one of my workshops. 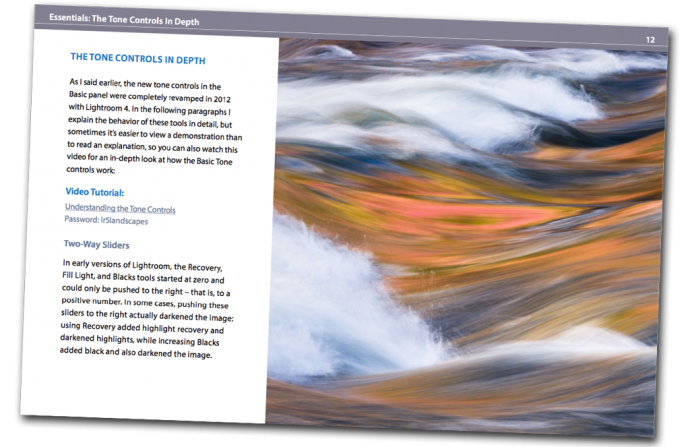 Second, when you purchase the ebook you get exclusive access to 17 videos demonstrating different aspects of Lightroom’s Develop Module, like the Adjustment Brush, Spot Removal Tool, Point Curve, HDR Merge, Panorama Merge, performing advanced retouching, and much more. It’s great to read about a tool or technique; it’s even better to watch a demonstration, and then try it yourself on the same image. And third, there’s the PDF ebook itself. This includes nine examples, where I take you step-by-step through processing each image in Lightroom. You’ll get to see my workflow in action, with a variety of images – high contrast, low contrast, color, black and white, HDR merge, panorama, and even a Milky Way photograph. You’ll learn many specific techniques and tips, but perhaps more importantly, you’ll gain insight into the decision-making process that so many photographers struggle with. How much contrast is enough? How far can you push the saturation without making the image look garish or fake? What’s the right white balance? And there’s much more. The first section of the ebook is devoted to understanding the Develop Module, and especially the powerful Basic Panel Tone Controls. There are many things going on under the hood that haven’t been talked about much (not even by Adobe, for some reason) like the automatic highlight recovery, and how all the Basic Panel Tone Controls are image-adaptive – that is, they auto-adjust their behavior based on image content. To help you understand how all this works you’ll find a completely revamped video on the tone controls that covers that image-adaptive behavior, how each tool works, why you might consider changing your default settings, and how to approach processing both high-contrast and low-contrast images. 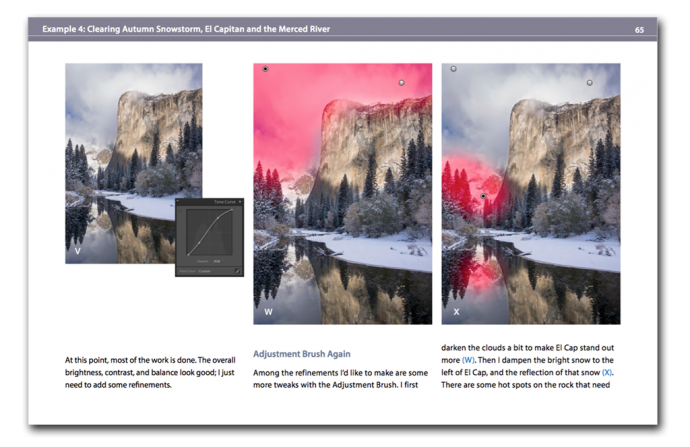 Image-adaptive behavior: how Lightroom’s tone controls auto-adjust their behavior internally based on image content. New features in Lightroom Classic CC, including the Range Mask and Profile Browser. Default settings: where should you start? 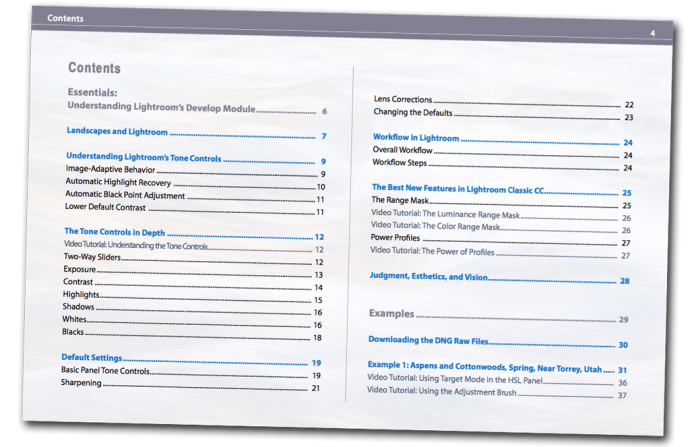 And if you’re still using a standalone version of Lightroom, almost everything in this ebook still applies. And that goes for ACR too! All the tools in Adobe Camera Raw are essentially identical to Lightroom’s Develop Module – they’re just laid out differently, and sometimes work slightly differently. But everything I talk about in this book can be done in Adobe Camera Raw 10.0 or later, and most things with ACR 6.0 and up. I’m absolutely loving everything about your book! It’s fantastic on all fronts. And your videos are a gigantic bonus; extremely helpful. I love the clarity of your instructional style. 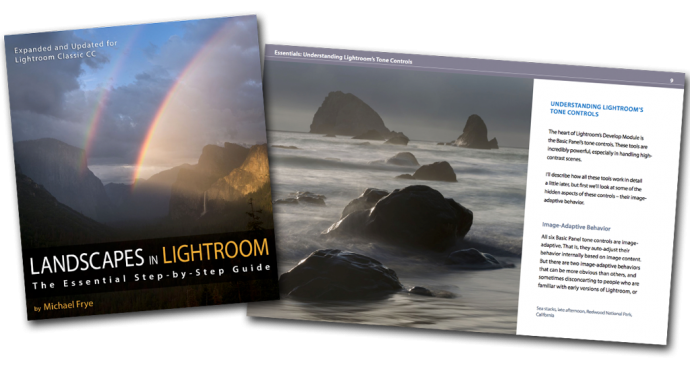 I recently finished your Lightroom e-book program and am very impressed by your teaching style. The illustrated text, videos, and practice sessions make for a complete program. Having your students work with common images makes for a powerful learning experience. I cannot believe the difference this has made in my ability to bring out and highlight the best elements of my photos as well as to more effectively tone down distractions. Just wanted you to know that I have used LR since the beta the year before it was released. I have used every version since then. In addition, I have taken multiple classes, read many books, and purchased the on-line tutorials of several pretty high-powered professionals. Over the years I have done some pretty darn good processing. But I have never really understood what the heck I was doing with the various adjustments until reading your recent eBook. All of a sudden everything is completely clear, and I am now making adjustments because I know what they will do rather than just noodling around. This should be required reading for all Lightroom users, and I am certainly recommending it to my friends. It is light years ahead of anything else I am familiar with. Thanks for writing it…you have changed the way I process! I just wanted to drop you a quick note to tell you that I purchased your ebook and it is excellent. I’m an experienced LR user however I have learned a number of new things in your ebook. Your teaching style is excellent and your photography is outstanding. 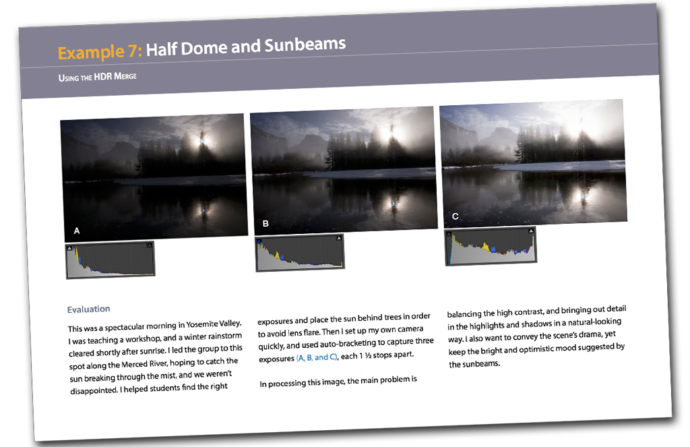 I would highly recommend this ebook to anyone looking to improve their image processing in LR. I want to thank you for your “Landscapes in Lightroom” ebook. I will mirror Scott Oberle’s comments about having watched lots of videos & instructions, including Adobe’s, on Lightroom. Previously, before your e-book, I felt like I was still stumbling around the Develop Module without understanding “what” I was trying to accomplish, but more importantly, the “why and how” I was doing something to the image. Your e-book made it very clear. I’ve gone from dreading post-processing to actually enjoying it, because now I evaluate an image, and THEN decide HOW I want to change it. I just got the book and about half way through it. I can’t believe how much I have learned so far. You have destroyed eveything I thought I knew about using Lightroom. Can’t wait to apply some of this new knowledge on some of my own work. Great job! Easy to read and understand. I already have my copy! Your writing style makes it easy and educational read. I have already learned several new things and am only on page 19! I am looking forward to working on the examples you provide. I think this is an excellent learning tool. Just now purchased the e-book, and I have to say it looks like a bargain – even before the discount. You could probably charge twice as much and still sell as many! I look forward to spending some quality time with it and your sample files (not to forget the videos). Did I mention already it’s a bargain?